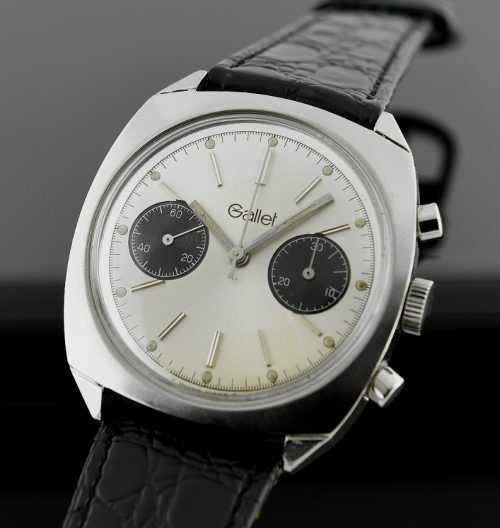 This seldom seen GALLET 37.2mm. 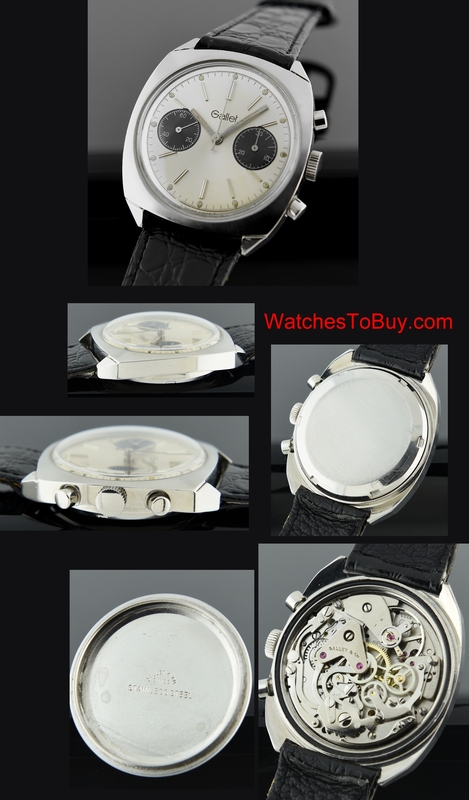 stainless steel late 60’s vintage chronograph watch looks fabulous. The steel case looks very good-two dings on the lower right lug that are not detracting. On the wrist this watch looks amazing. The original panda style dial grabs the eyes. The Valjoux 7733 manual winding chronograph movement was just cleaned-accurate and functioning perfectly. This watch is priced to sell instantly-you won’t be disappointed.